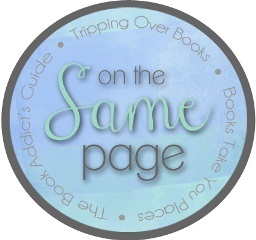 On the Same Page is a feature hosted by Alyssa from Books Take You Places, Amy from Tripping Over Books, and of course The Book Addict’s Guide! It started off Alyssa and Amy reading a few books together, then Alyssa and I reading a few books together and we decided to all get on the same page (ha, get it?) and read a book all three of us at the same time! We have a lot of similar tastes and at the same time, we also push each other to read outside of our typical genres. We decided to make it an official thing and thus, On the Same Page was born! The Secret Sister project is essentially a six month-long program where each individual is sending another a care package each month. The care packages do include gifts but the program is designed to bring joy and cheer into someone’s life and the focus is always more on being in someone’s corner and brightening their day. Our Secret Sister project is currently in its fifth round! The project runs for six months and the current six month spans are: August through January, February through July. It started off as US participants but we have been able to extend the project to Canada, Australia, and the UK! We hope to continue to extend the reach of the project and bring even more joy to all! If you’re interested in learning more about Secret Sister, you can check out the FAQ page (updated for round five) or the hashtag #OTSPSecretSister! The current round of Secret Sister is running from AUGUST 2016 to JANUARY 2017. New sign-ups will be in January 2017. Please see FAQ post for as many details as we can throw at you, how to sign up, and what is required of participants! If you’re currently participating in Secret Sister and have questions, please contact your sister’s buddy or contact one of the hosts. Thanks!